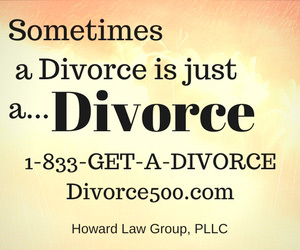 There are things from our past that we often don’t think often, or we even push them aside for decades. It is a haunting thing when suddenly, like Deja vu, we encounter a certain stimulus that floods our soul with memories of things long forgotten. Sometimes these are brought on by a specific scene from our past, perhaps a sound such as a particular song, or from a certain smell we at once recognize from our past and memories flood the soul. This time it was an avid reader, Clayton Thompson, who shared his experience of odors that stirred his memories that it encouraged me to turn my attention this week to the smelly things of life. I wish to thank him for naming some of the fragrances he gave as example, I could so well identify with those and sundry other aromas as I thumbed through the dusty files yet still available in my old brain. While all of our senses are acutely present in our youth, none supplant that of the sense of smell. We early on in life associate various odors with our feelings of security, of home or the classroom, or our daily environment in general. While just a toddler I remember the smell of milk warming for my next bottle. Because we were still using an ice box, I also remember the smell of clabbered milk that would hit me when I ventured to open the door to find the milk had gotten warm and soured. Yes, I remember the smell even in the water tray below the block of ice when it was time for the ice man to install a fresh supply. Therefore, it should come of no surprise that when we turn a corner, open a door, and get a whiff of a familiar odor we find ourselves in another place and another time. Consider the smell of chalk dust from our elementary school. I know I was sent out more than once to pound the erasers against a concrete wall to remove the dust. This was necessary to make the erasers functional. 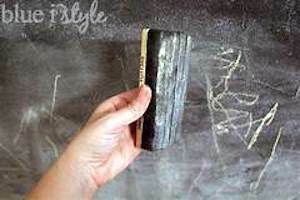 If too much chalk was present it would only spread the dust on the slate blackboard rather than clean a spot for the next writing. I was reminded when I set up a chalkboard recently and the eraser had not been cleaned for a time. That classroom of old also had pencil sharpeners that were full of wood shavings and pieces of graphite. Once the container was removed and dumped in the trash can, the smell was strong and clung to my fingers until I washed my hands. We also had mimeographs machines that also had an odor to accompany that nasty purple stain that was sure to be all over my hands, arms, and clothing. Even the bottled glue had a smell of its own. The old practice of oiling the wooden floors in our schools was another that reminded us the moment we crossed the threshold that we were at school. Even though I didn’t often eat in the grade school lunch room, I loved the fragrance of the cooking that wafted through the building as the lunch hour approached. I had not been hungry before, but suddenly the gastric juices were flowing and I couldn’t wait for lunch break. 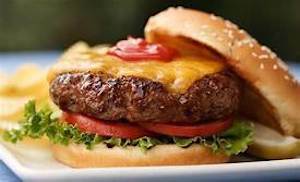 High schoolers will remember the delightful smell of hamburgers cooking at the Hamburger Inn, Lula Bells, or Rips while jute boxes were fed and classmates jockeyed for a seat. I remember when mom had some home-made bread in the oven. We mostly used “Heiner’s Bread” bought from local stores, but I also remember passing the bakery in Huntington when the bread was rising. It was heavenly and I’m sure raised the property values in that area of town. A favorite time I enjoyed was walking into the grocery at just the right time when they were grinding coffee beans. That big red coffee grinder that sat on the counter flooded the store with a great aromatic cloud that teased my senses. I didn’t like coffee itself, but I loved that great smell when Ed Bradley filled someone’s order for fresh grounds. Coffee was a big business then, but today we take it to new levels and pay crazy prices for specialty drinks. Having stayed from time to time on my uncle’s farm I also knew of specific scents peculiar to farm life. I helped collect eggs a few times and recall that smell of the straw that was used for bedding. I remember the smell of hay bales up in the hay loft. The milking parlor below had its smells, too. Lime was one, but the cows were happy to add to the atmosphere with some smells of their own. I was privileged to shovel and sweep up their odiferous offerings. Even the river bank had its own aroma. While it is somewhat a decayed, or foul stench it is much the same as an oyster, which I do enjoy. While not all smells are not pleasant, all tend to become associated with our memories. Consider the smell of a locker room filled with dirty, sweaty uniforms, or the stench of a well-worn pair of tennis shoes. Even a pair of cowboy boots can be offensive, but then, we love those boots. Whenever I went into a musty basement, or a cellar, it had an identifiable smell, as well. I remember the smell of a summer rain as it hit the dusty ground. Perfume counters at the department stores were a fun thing. Mom showed me how to spray a sample on my wrist. That would remain with me, but I was careful to use the few ‘men’s’ aftershave. I think Aqua Velva was one brand and Old Spice. Men were just starting to use these products, most still holding out thinking it was beneath their masculine character. Even the hardware stores, with their oiled floors, bags of seed, and other products had its unique odors. I could shut my eyes and know where I was. I remember sawdust in wood shops, the oily smells in filling stations, and the unique smells of wood or coal-fired stoves. I remember the smell of pipe smoke and I enjoyed smoking a pipe for years. I remember the smell of a carnation worn at a school dance, and popping corn at the dime store. 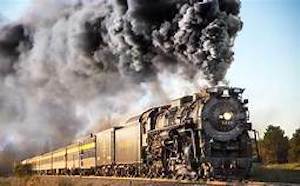 We could not escape the smoke and cinders from the freight and passenger trains that rolled through town. I was a Dollywood when I was sitting on an open car on her narrow-gaged train. That first whiff of smoke flooded me with memories which in a strange way was comforting. For a moment I was at home, as a child, basking in memories and emotions I had experienced so long ago. It was delightful. Even walking though the mid-way of a carnival would incite memories. I suppose it was the sausages, French fries, fried chicken or hot cider cooking. We just passed last year’s Christmas holidays so it is likely that many readers have enjoyed another season of greenery delights of a freshly cut tree, and boughs of holly. We’ve likely enjoyed the odor of cooking a turkey, a tray of cookies, or maybe a ham. How good can it get? Great article Mike, yep I remember grinding coffee when I worked at Bradley’s Grocery and the great smell that it produced. The smell of hamburgers etc. from the restaurants, even the smell of the coal burning when the trains would pas thru town with that black smoke rolling from it. So many were great and then as you mentioned the awful smell of the clabbered milk, YUCK!!!! That would stink up the ice box for a week, ha. ha. Great article, really enjoyed it and as always “Thanks for the memories”.